We have a jam-packed show for you this week. First off, we’ll tackle the dirty little secret of the RV industry. Yes, they are indeed selling lots and lots of new RVs. Setting sales records seemingly every month. But what they don’t tell you is that you’re going to have a very difficult time finding a place to camp in that RV because we’re not building campgrounds fast enough to keep up with all those new RVers. We’ll tackle this issue in our question of the week segment coming up in a couple of minutes. We RVers love our dogs. Many in fact, cite traveling with a dog as one of the chief reasons they even have an RV! But here’s the deal: Dogs are….well, dogs. Not people. And too many of us do a disservice to our pets by treating them as if they were human. In this week’s podcast, we get some great advice from a professional dog trainer about traveling with our dogs and making the experience enjoyable for our pets as well as ourselves. 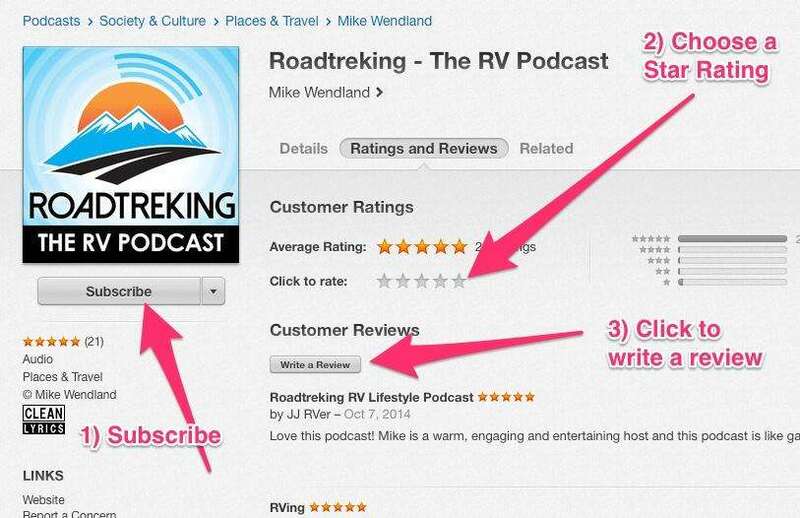 Plus lots of audience comments, questions, tips and more all coming up in this episode of The RV Podcast. Bo is back – You can see the reunion at https://youtu.be/mCEuuy71E28 We share how his training went and what it’s like having a Smart Dog. We are at our sticks and bricks home in Michigan for the next couple weeks. We’ll spend Thanksgiving here and then hit the road again, traveling to Louisville for the annual Recreation Vehicle Industry Association annual Trade Show. There are a lot of moving parts in our RVs. And we’re not talking just about the engine We’re talking about the appliances and the RV accessories that we use on every trip…. Things like the heater. Sure, there’s usually a manual that comes with the gadget. But owner’s manuals don’t necessarily cover everything. We got a great tip this week from a listener named Bob whose, Roadtrek CS Adventurous XL uses the Alde heating system. Bob’s heater made some weird noises and he shares with us how he fixed it in this week’s Tip of the Week. Listener John noticed the big boom in RV sales but is worried that with all those new campers out there, where will they go? Finding an open campsite without making a reservation long in advance grows more difficult each day. He asks for Mike and Jennifer’s thoughts on the issue. We’re more than willing to weigh in on this issue, which is really the dirty little secret of the RV industry. 16 basic commands. Now that he’s back with us, we are thrilled at the changes in his behavior. He’s still the fin-loving, friendly and enthusiastic dog we had before, but now he is obedient, doesn’t pull on the leash, comes the first time he’s called, every time.. and much more. But I wanted to have Lea on the program this week not to talk so much about the training but about the way we treat our canine companions. Too many of us, and I’m talking about a lot of RVers here, treat our dogs as if they were human. They are not. They’re dogs. A different species. And we do harm to them when we treat them as if they are human, no matter even if the motivation is love on our part. If you think that means you can’t still shower them with affection, even spoil them a bit, you’ll learn from Lea that…you still can. I think you’ll enjoy her insights and her tips for traveling with our pets. With the holiday stress not yet upon us, now’s the time to start pulling together those great gift ideas for you and your loved ones. And I’ve got one to add on to your list this year – Google Pixel Buds. These are bluetooth wireless headphones that provide amazing sound and one touch control of your music along with access to your Google Assistant. That’s right, thanks to its built in microphone, when a question pops into your head at any time, just tap on your Pixel Buds and ask away. That means quick access to whether there’s snow in the forecast, how tall this year’s Rockefeller Center Christmas tree is, and what Santa is up to at the North Pole. But get this…what’s absolutely mind-blowing about the Pixel Buds, is live language translation when you pair them with an original Pixel or Pixel 2 smartphone. Just imagine heading to Europe to celebrate the holidays in Germany and being able to carry on a conversation in German when you don’t speak a word yourself. Instead as you speak english your phone will speak out of its speaker in German. And when the person you’re talking to talks in German you’ll hear english in your Pixel Buds. How cool is that?! In eastern Montana, the Yellowstone River is lined with rimrock cliffs that extend more than a hundred feet in the air. They posed a substantial obstacle to settlers moving west, as well as migrating herds of bison, deer, and elk and the wolves that followed them. At one point, about thirty miles east of Billings, a pillar of rock rises from the prairie, seemingly chunked out of the wall and moved across the water. From many angles it’s easy to miss this huge feature, but the resulting gap provides a way past the rimrock, and the pillar has been a guidepost to travelers for centuries. This rock monolith is now a national monument, and our daughter Maggie just spent a season working there as a park ranger. We’ll let her tell you a bit about it. In the summer of 1806, William Clark was traveling down the Yellowstone River with part of the Corps of Discovery, including their guide Sacajawea and her infant son Jean-Baptiste, affectionately nicknamed Pomp by Clark. They had separated from the rest of the group at Travelers Rest, four hundred miles to the west. Lewis took another group north to explore the farther reaches of the Marias River, planning to meet up with Clark a month later at the confluence of the Missouri and the Yellowstone. Clark and his party intended to travel on the river, but had not been able to find trees large enough to make suitable canoes. When one of the party was injured, they were forced to make do with the best trees they could find in the area, and spent several days hollowing cottonwood logs. The river journey was uneventful until they reached the pillar, which Clark named in honor of Jean-Baptiste. Pompy’s Tower was later renamed Pompey’s Pillar by the editor of the Corp’s journals. Look back at the Roadtreking blog from October of 2015 and you can find Mike’s enthusiastic report of visiting the pillar. The visitor center is closed for the winter, but you can still walk in and visit from dawn to dusk, and all the facilities will be open again in May of next year. Summer is a good time to visit, because you can experience Clark’s Days. Free admission and camping, Native American dancing, cowboy poetry, live music, campfires by the river, bird walks, stargazing, traditional foods, and historic reenactments. It’s a big deal! Check the park website foe dates. Last year it was at the end of July. If you come, try not to miss the cabin. It’s the old visitor center, at the foot of the Pillar, and has an extensive display of native Montana wildlife. You can touch the pelts of bison, fox, wolf, and grizzly bear. Summer is also the time to see yellow-bellied marmots, who make their home in the cracks and crevices of the Pillar. We had a great visit, and went on west to see several other sites from this amazing chapter of our national history. Among them was a visit to the National Museum of the Plains Indian in Browning, outside the east entrance of Glacier park. This museum sits on a dusty woebegone plot of ground across from a diner and the grandly-named Glacier Peaks casino. It’s a completely nondescript 1940s brick building, and it looked uninhabited when we stopped in the parking lot. Don’t be fooled. It would be a shame to miss the rich and varied displays of native textiles, pipes, and other crafts found inside. We also took time to watch a thirty-minute film called Two Worlds at Two Medicine, a Blackfeet Indian documentary of the only fatal encounter in all of Lewis & Clark’s travels. It was instructive to see the event, in which two young Blackfeet braves were killed and Lewis nearly lost his life, from the perspective of the indigenous people. We had lunch at the casino, too. The hamburger and rice soup, served in styrofoam bowls was nothing to write home about, but the hot fry bread that came with it was outstanding. You can find Lewis & Clark sites across the west, and every one of them will be worth the time you take to stop and explore. Poke your head into the Lewis & Clark Caverns near Three Forks or look at Oscar Howe’s murals in Mobridge, South Dakota. Come see us at Pompey’s Pillar and I’ll tell you about Sergeat Pryor and the bull boats he made from bison hides. And while you’re out there, look for my parents, Patti & Tom Burkett, wandering around off the beaten path.